You are here:Home Diet Pills and Supplements Belviq ( Lorcaserin) Diet Pill Supply Update 2014!! Belviq ( Lorcaserin) Diet Pill Supply Update 2014!! Arena Pharmaceuticals, Inc. is the makers of Belviq. 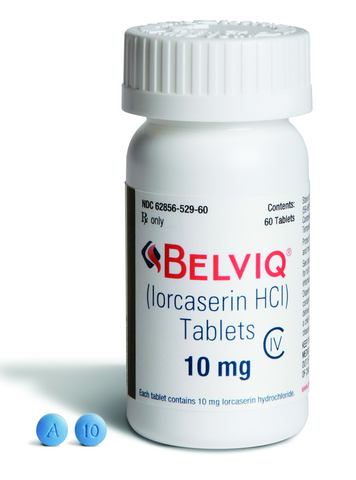 Belviq or Lorcaserin is one of newest and emerging diet pills in the US market with the approval of the FDA. This weight loss product can only be bought with a prescription from your doctor. Promotion is one of the key in order for the success of this new drug. Marketing and pharmaceutical representatives for this drug needs to reach more doctors in order for them to be educated about the drug and how to prescribe them to their patients. With Marketing and distribution partner, Eisai Inc, the sales force this anti obesity drug, Belviq, has increased by 50 percent. Within a few months, there can be around 600 medical reps to cover the whole of the US. With this sales force, Eisai expects to reach approximately 92,000 physicians across the country. In the first 3 months of 2014, Arena Pharma recorded Belviq sales of $2.9 million. 200 thousand dollars came from the redemption of the 15 day trial voucher. With this kind of sales numbers, it is safe to say that sales are still not good and needs to peak in order to call this weight loss pill truly a success. Total prescriptions for Belviq increased 31% from the previous quarter to approximately 77,000. More prescriptions means more sales, thus the logic for adding more man power to the sales force. The additional sales force is also a step towards the re launch of Belviq for 2014!!! Currently, Belviq is still competing with Qsymia to be the next successful diet pill next to Xenical!! Arena Pharma and Eisai are evaluating Belviq for additional indications for Lorcaserin. These include smoking cessation (phase II study ongoing) as well as safety of Belviq when administered in combination with phentermine (12-week pilot study). Additionally, the companies are studying Belviq’s effects on diabetes and cardiovascular outcomes based on the results of their CAMELLIA study.